Unpredictable income is something that every freelance web developer faces. While developing recurring income streams can help to stabilize our finances, there will likely always be significant ups and downs in our monthly earnings. There are good times and bad times. Like King Solomon wrote in Ecclesiastes, there is “a time to sow and a time to reap… a time to mourn and a time to dance.” That’s life. As freelancers we need to come to terms with this fact of financial seasons and develop strategies and tools that help us survive and prosper. The Rolling 12 Report is one of these tools. 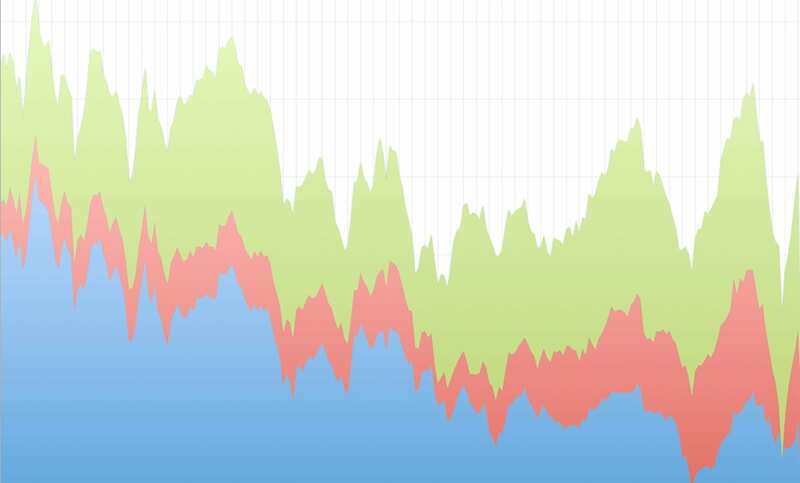 If you charted your finances from month to month, you’ll likely create a line graph that looks like the Himalayas. Lots of peaks and valleys. It’s hard to see trends when we deal with so many ups and downs. That’s where the Rolling 12 becomes helpful. Instead of looking at your income from month to month, you look at the average of the last 12 months as of today. 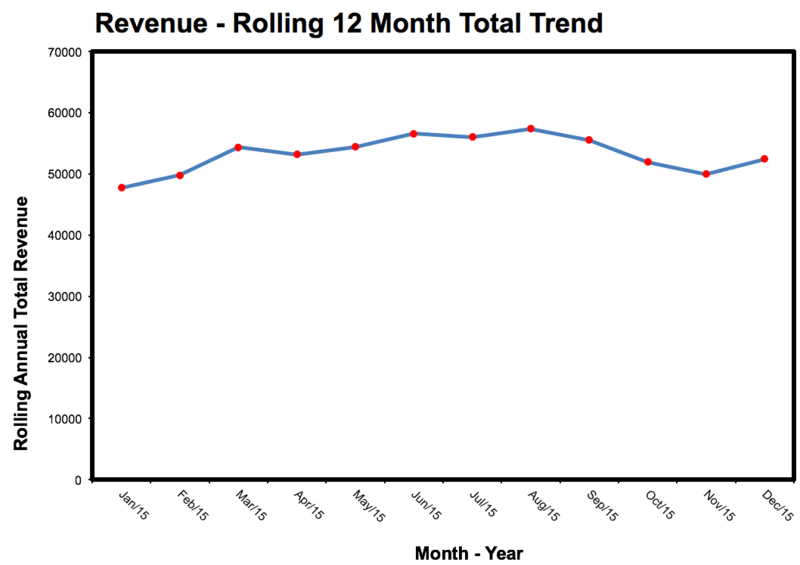 As each month comes, you drop off the oldest month and add the newest and chart the decrease or increase in revenue. Start with the Raw Data tab. Two years of monthly totals are supplied as an example. At the 12th month, an average is calculated in cell E17. 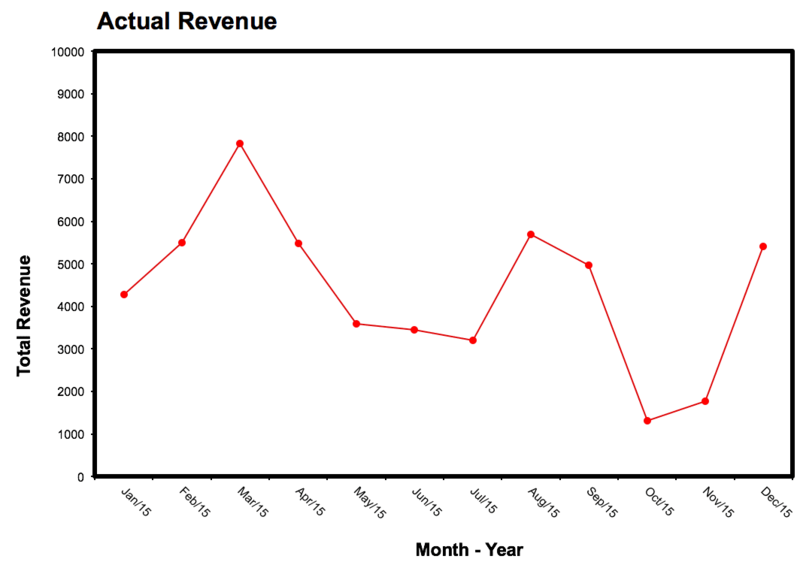 Each month thereafter, the average is recalculated using the current month and the 11 previous months. Here are the peaks and valleys that are common for all of us freelancers. Looking at this chart, it’s hard to grasp where we are with our finances. When we chart the average of the last 12 months, we can more easily start to see trends and the numbers become meaningful. Take some time and fill in your actual numbers and see if the ups and downs in your business income start to make more sense. Note, you’ll need to click into each of the charts and manually adjust which cells are being rendered. There is likely a more elegant way to do this that an Excel guru could figure out, but hopefully this tool will provide you some value immediately! The information provided on this web site is for educational purposes only. It is provided without any warranties or guarantees whatsoever.